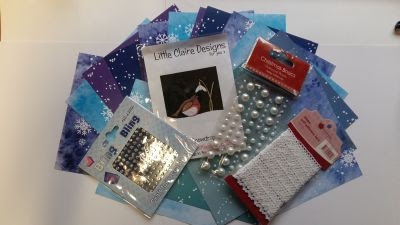 Christmas in white is the new monthly challenge at Little Claire and I thought I would make a Winter scene for my card. There is a great prize on offer so hope to see you play along as you could win all this. I used an Embossalicious embossing folder for my background and cut some snowy hills with my Spellbinders curved border and a Memory Box die. I added some Impression Obsessions fir trees and Santa and sligh.. The cute snowman trio have been coloured with Copics. We are off to a quiz and chips night tonight so that should be good fun. I love the white background Marianne - lots of fabulous detail. The snow folk give a lovely splash of colour to the scene. Love the happy snowmen and your white winter scene. 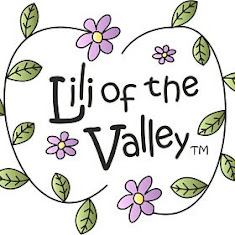 Getting better (I hope) with listing my blog now so many thanks again. 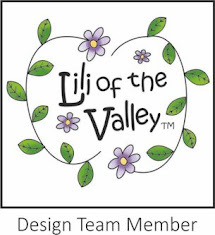 Gorgeous design and love the scene you have created. 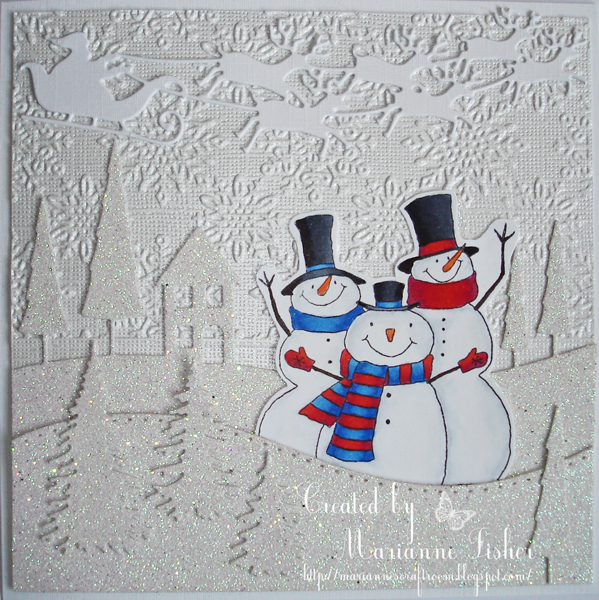 Beautiful white on white creation Marianne..love the sparkle and snowflake background then the splash of colour on the snowmen..gorgeous. This is so cute! Love the snowy scene you created. Thank you so much for sharing with us at the Simon Says Stamp Monday Challenge Blog!! Marianne, this is gorgeous. I love white on white but struggle with it myself. Your design is beautiful with the die cut and embossed background and you have coloured that lovely image beautifully. Hi Marianne, this is a gorgeous card! Visit Marianne's profile on Pinterest.